At present, Instagram is a serious platform for content marketing, making business relations, audience building etc. Instagram today is one of the most important and popular places to go ahead and do social networking and the fact that it has over 200 million active members at present, which bring the share of more than 60 million images and 1.6 million likes in a single day bears testament to the aforementioned statement! Instagram holds 58 times more engagement as compared to our loved Facebook which is whopping large in comparison. So, you can imagine what wonders Instagram can do to increase your connections and increase your exposure to a brand or company. Here are some tricks and ways in this article which can help you to attain the myriad number of followers on Instagram and help your networks grow. 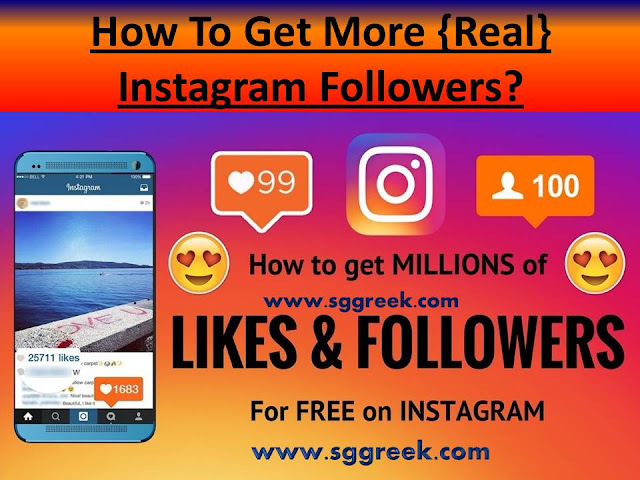 Read on and take full advantage of the given below tricks to get more and more followers on this platform. By visiting this tab, you will be informed about the events happening around your neighborhood, a city that you are focussing to sell your adds, and by this, you will always be in touch about the things you need to exclude or include in your Instagram add posts. This will help you get potential customers or buyers eventually getting you more followers. People love creativity! Who would want to follow something which has boring and old school hashtags? Creating alluring and exciting hashtags are key to increase followers on Instagram. Always adjust and keep your settings updated so that any potentially embarrassing photos by tags do not get chance to reduce your followings. A lot of people do a good research before following any party and finding pictures on your account that does not meet standards can jeopardize your network building. People want to know more about whatever you upload and if it is an advertisement, captions are a great way to do it. Your captions should be precise but they should contain all the important points in a little descriptive manner in order to give the full idea about your add. Take part in all the massively popular conversations and mix your post with all necessary and relevant hashtags. By taking part in conversations people could know you and better understand your add and your brand.